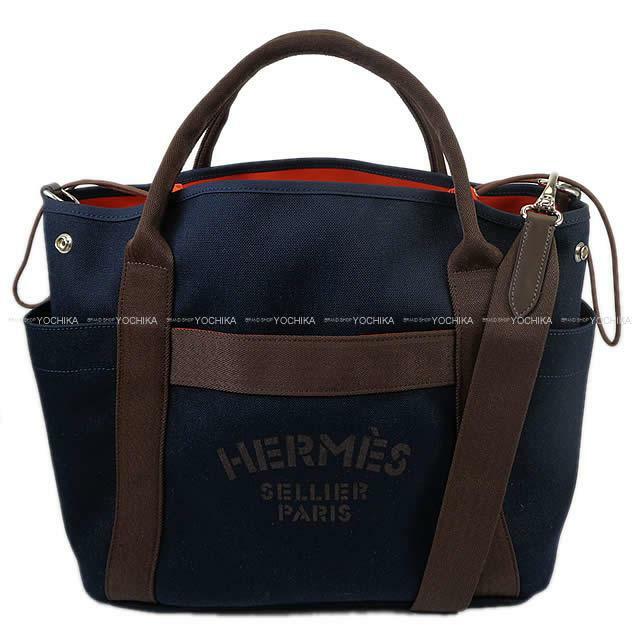 Shoulder bag "Sac de pansage groom" usable very casually of the Hermes was received. Because it is very large-capacity and is lightweight, it is most suitable for the usual times errand including sports bag and the Mothers bag! An orange peeping out from the chic Blue Navy inside for an instant is casual, and the color seems to be Hermes. Because is a unisex design; as for the man and woman combined use! Because it is removable, the porch of the in bag is usable separately!